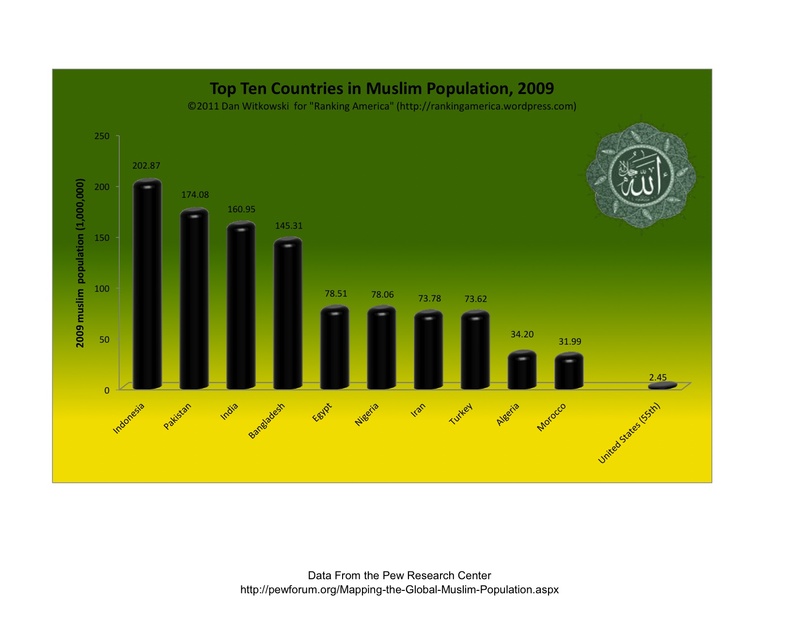 According to the Pew Research Center, in 2009 the United States had a Muslim population of 2,454,000. That is enough to make the United States rank fifty-fifth out of one hundred and sixty-nine countries ranked. Indonesia ranked first with a Muslim population of 202,867,000. 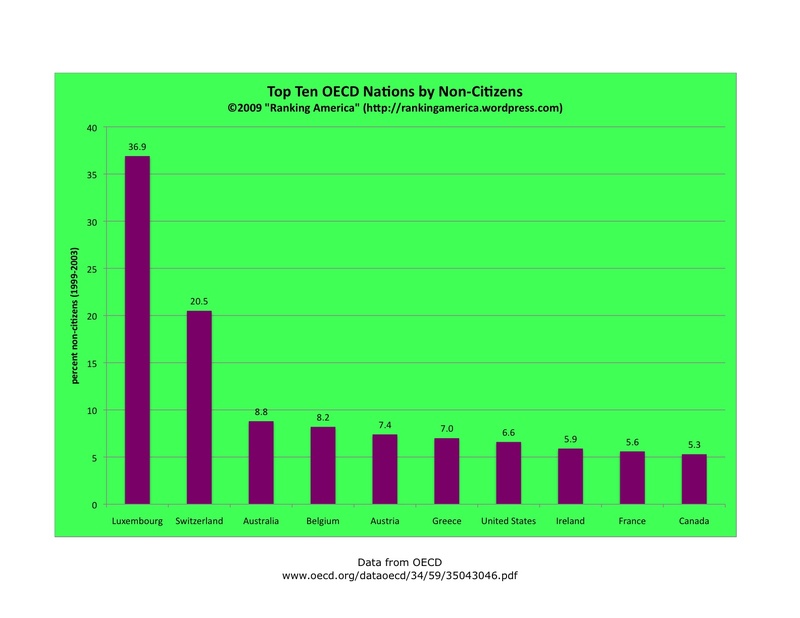 According to OECD data gathered between 1999 and 2003, 6.6% of the people living in the United States are non-citizens, which makes the United States rank seventh out of twenty-three ranked countries. Luxembourg ranks first, at 36.9%. According to the World Bank, the United States had an average annual urban population growth rate of 1.6% between 1990 and 2005, which was enough to make the United States tied for ninety-third with Macedonia and the Netherlands in that category. 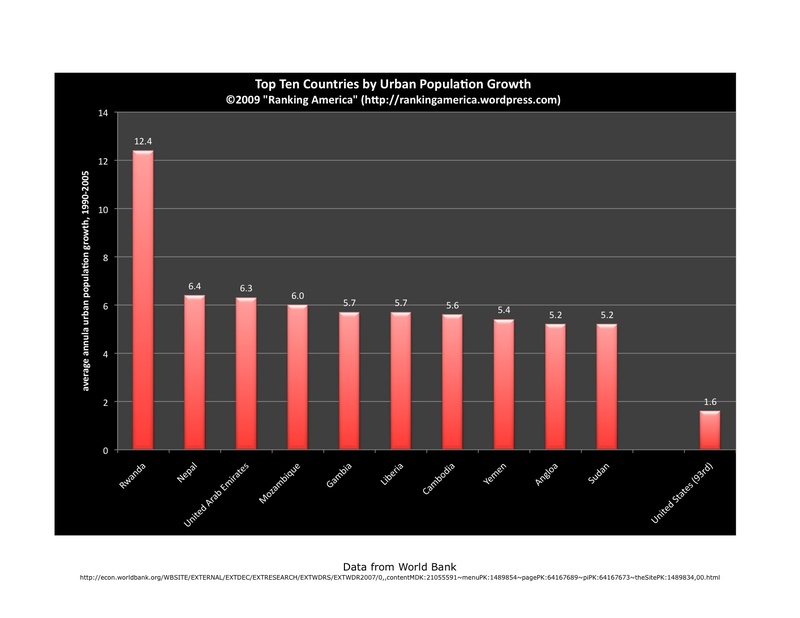 Rwanda ranked first, with an average annual urban population growth rate of 12.4%. According to the World Health Organization, between 1996 and 2006 the United States had annual population growth rate of 1.0%, which made the United States tied for one hundred twenty second with Argentina, Canada, Iceland, Mauritius, Myanmar, Saint Lucia and Zimbabwe. 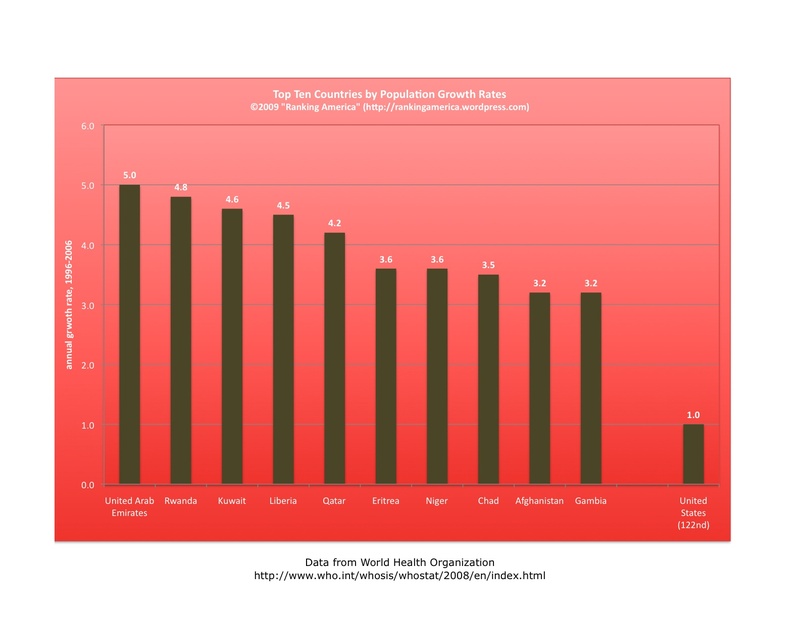 The United Arab Emirates rank first, with an annual population growth rate of 5.0%. According to the World Bank, 81% of Americans live in urban populations, which makes the United States tied for twentieth in that category with South Korea and Saudi Arabia. 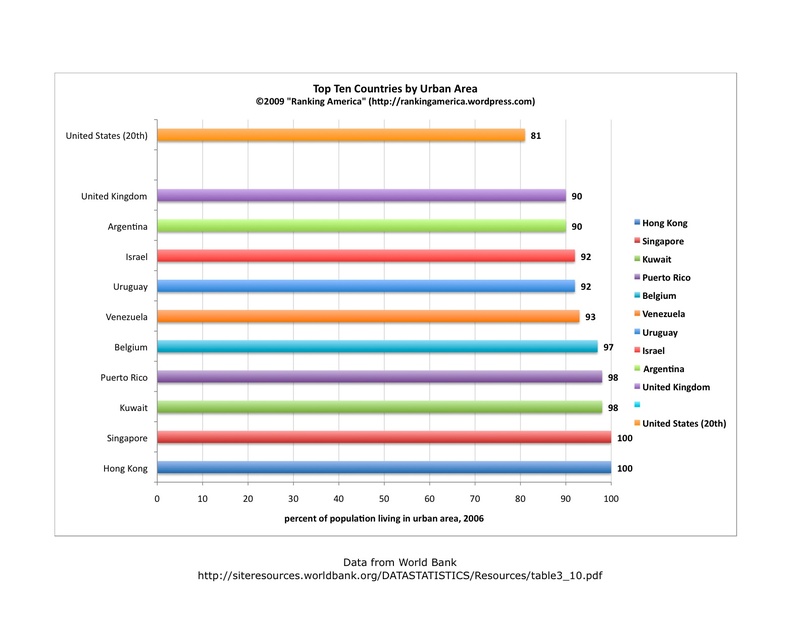 Singapore and Hong Kong are tied for first, at 100%. According to the OECD, in 2000 there were 809,540 Americans living in other OECD countries, which makes the United States rank tenth in that category. 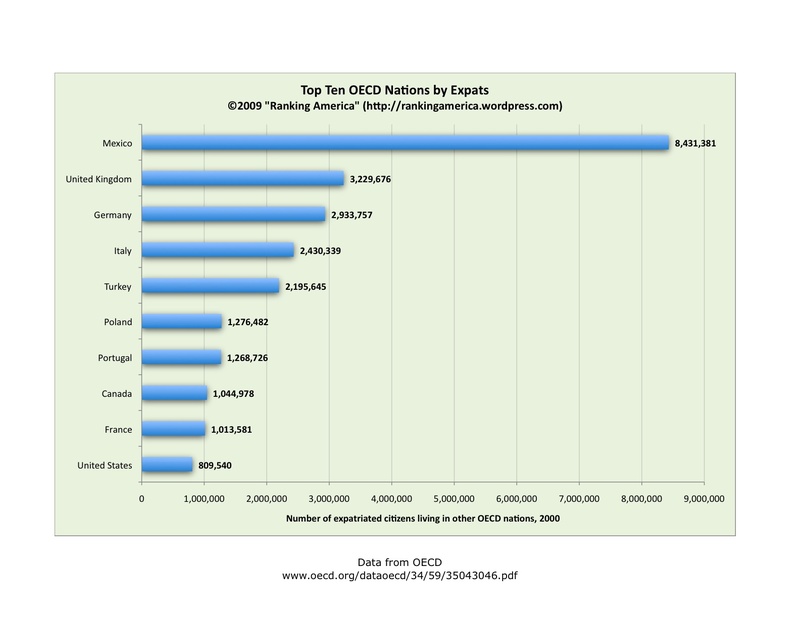 Mexico ranked first, with 8,431,381 Mexicans living in other OECD nations.